The sliding, folding nature of Pivette makes it a versatile solution where functionality, access and space are important considerations. 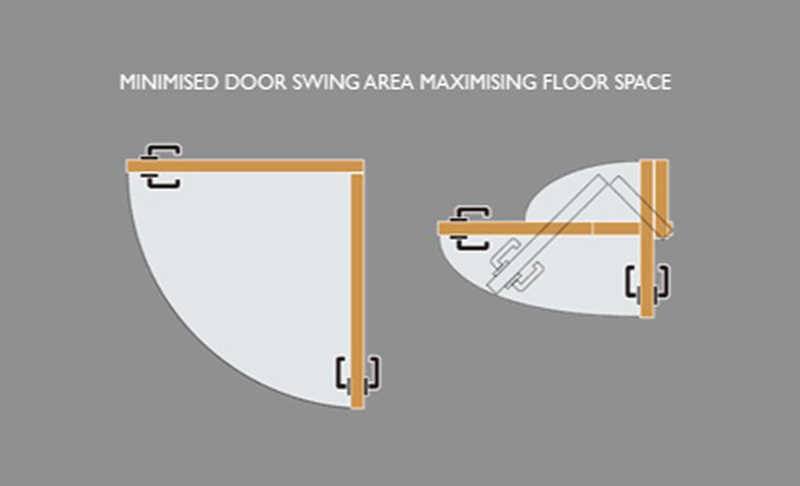 The Bi-folding door minimises door swing area whilst maximising floor space. Doors are easy to operate manually, needing only light pressure to move aside and well out of the way. 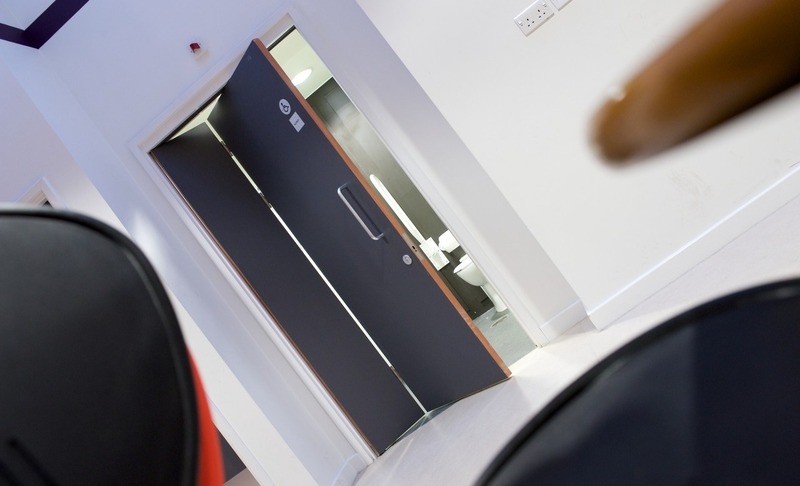 Complete, factory-finished, pre-hung doorsets are supplied as standard including frames, track and suspension systems, for straightforward installation and reliable operation. Pivette doorsets are available with finishes, colours and ironmongery to match other Leaderflush Shapland doorsets specified on a project. Pivette doorsets are available either non-rated or FD30 (30 minutes) in accordance with BS 476: Part 22: 1987 and are BWF-CERTIFIRE accredited. FD30 doorsets are supplied with a free-swing electromagnetic door closer which should be interfaced with the fire detection system. In day to day use the door remains easy to operate but, in the event of a fire or power failure, will automatically close. Intumescents are fitted to the frames of FD30 doorsets in the factory. 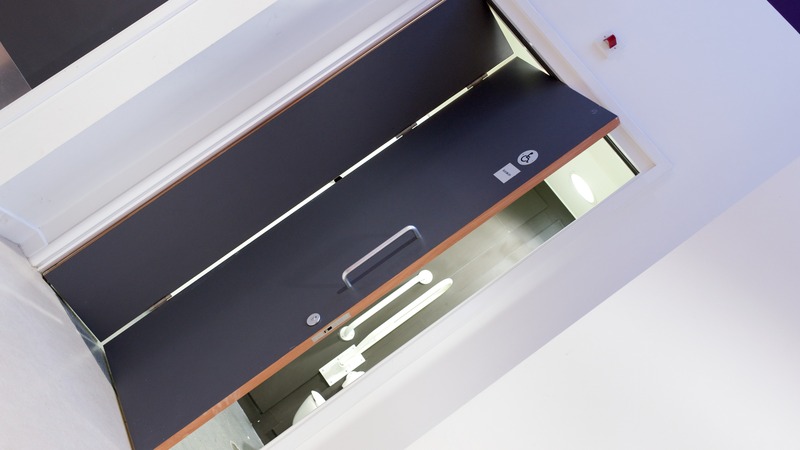 Pivette doorsets are particularly suited to healthcare and other buildings where space is at a premium or accessibility important. 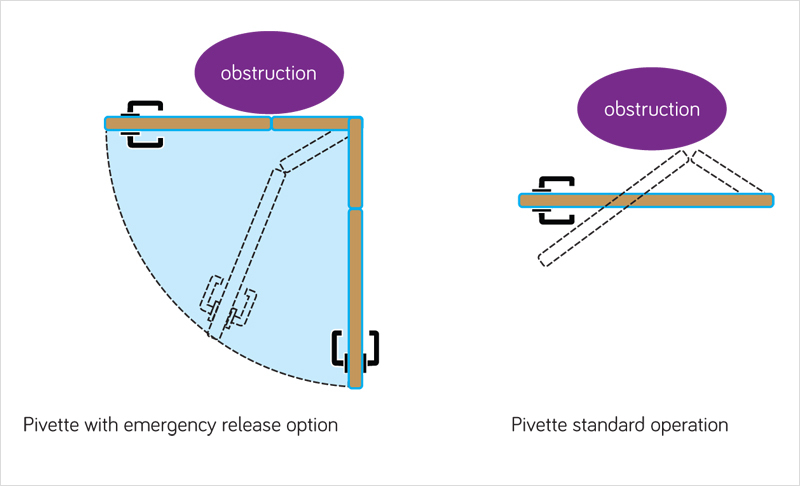 Pivette offers cost-effective solutions to a wide range of design problems presented by Part M of the Building Regulations, BS 8300:2009 and The Equality Act. Taken in total, these can apply to existing properties as well as new buildings including housing. This doorset incorporates a retractable guide bolt that overrides the standard mode of action, allowing the door to open away from an obstruction. The emergency Release Pivette is ideal for WCs and other areas where access might otherwise prove difficult in an emergency, such as a fallen person obstructing the conventional opening arc. The sizes shown below are offered as standard, with structural opening sizes of 1110mm and above meeting the requirements of Approved Document M and BS8300. Other non-standard widths can be accommodated where technically possible. The maximum door height available is 2040mm. 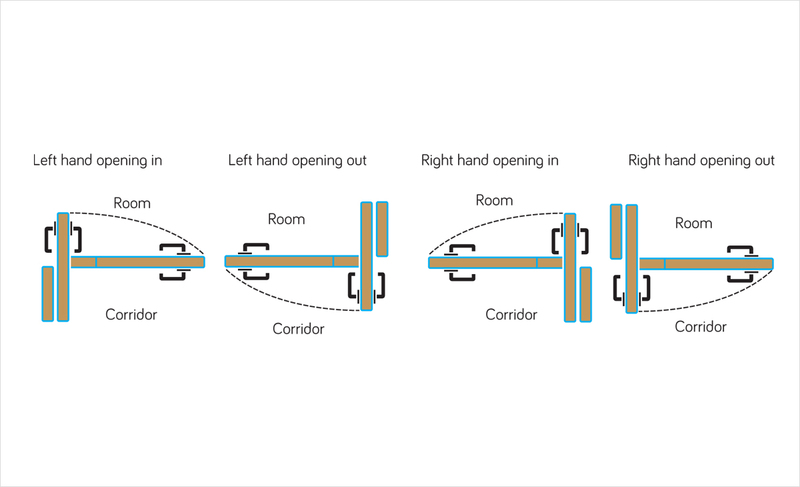 The drawings below set out the terminology for Pivette doorset handings for use in specifications. Vision panels can be included within the main door leaf. Standard aperture sizes, which comply with BS 8300 and Part M of the Building Regulations, are shown below. However, other arrangements, detailed on vision panels, can be supplied. Either the flush timber or steel trim bead system can be used (projecting details cannot), factory glazed with either clear or wired glass. Specific glass types, glazing systems and details are selected by us to meet fire performance requirements.